Pictured in Fayetteville delivering a speech, Pres. Franklin D. Roosevelt created and championed the New Deal and its many programs as the solution to the Great Depression. Image courtesy of the North Carolina Office of Archives and History, Raleigh, NC. North Carolina’s entire congressional delegation, except for Senator Josiah Bailey (above), voted for the conference report that created the WPA. Image courtesy of the North Carolina Office of Archives and History, Raleigh, NC. Clyde Hoey, pictured above, North Carolina's governor from 1937 to 1941, witnessed WPA membership peak and rapidly decline prior to its termination by Congress. Image courtesy of the North Carolina Office of Archives and History, Raleigh, NC. In April 1935 as the United States continued struggling with the Great Depression, President Roosevelt and Congress dramatically increased funds for helping the unemployed by creating the Works Progress Administration (WPA), an agency to employ 3.5 million people nationally with a budget of almost $5 billion. The federal government ended direct relief or handouts (states would assume that responsibility) and focused on providing jobs in federal agencies like the WPA. North Carolina’s entire congressional delegation, except for Senator Josiah Bailey who abstained, voted for the conference report that created the WPA. Roosevelt insisted that WPA wages exceed levels for handouts but not wages in the private sector. North Carolina’s Senator Robert Reynolds, along with liberals, fought for an amendment that required relief wages to be comparable with those in private industry. Bailey and conservatives, however, argued that the amendment would be too costly and harmful to industry; their view prevailed. In prior relief efforts, the national government funded state-administered agencies, but Washington made the WPA a federal agency. Harry Hopkins, national director, approved individual projects, and the U.S. Senate confirmed state WPA officials earning more than $5,000. As a result, Hopkins worked with the North Carolina congressional delegation dealing with WPA projects and patronage. Selection of a state WPA director, in particular, proved to be a major political and patronage battle. Congressman Robert L. Doughton, powerful head of the House Ways and Means Committee, and Senator Bailey exerted the most influence in securing the position for George Coan, mayor of Winston-Salem since 1929 and one with close ties to Piedmont tobacco and financial interests. A graduate of Davidson College and Harvard University, Coan worked previously as an executive at Reynolds Tobacco Company yet strongly supported the New Deal. Patronage battles over the appointment of subordinates in the state WPA distracted Coan for much of 1935, and relief efforts in the Tar Heel State lagged behind that of other southern states. Coan complained that Hopkins had not given North Carolina adequate funds for its relief needs and that the state was not receiving its fair share based on population. North Carolina WPA officials and politicians violated certain policies of Hopkins that banned some political activities. During the 1936 Democratic gubernatorial primaries, Coan supported Clyde Hoey after Max Gardner promised him the chairmanship of the State Highway Commission. Gardner gave Coan $25,000 to distribute in WPA districts and Coan provided Gardner a list of key WPA personnel in the state. Senator Bailey also used lists of WPA personnel in his 1936 reelection campaign. The relief agency with thousands of employees had a significant influence in close Democratic primaries, but less so in a general election. Some states like Indiana had a better record than North Carolina of keeping politics out of relief efforts, but several states such as New Jersey, Pennsylvania, Kentucky, and West Virginia had worse records. In 1939 Congress passed the Hatch Act, which limited political activities of federal employees, such as those in the WPA. Although the North Carolina WPA averaged forty-to-fifty thousand on its rolls throughout 1936, Roosevelt, believing the nation’s economy had improved and fearing inflation, significantly cut WPA funding for the nation and the state by mid-1937. Hopkins consequently cut the state’s WPA districts from eight to five. By August 1937 spending in the state had dropped to $706,000, down from $1.2 million in August 1936, and the WPA in North Carolina employed only 18,600 workers. In September 1937 Coan abolished the five district offices and operated the WPA solely from Raleigh headquarters. The WPA faced growing conservative opposition in the state. After his reelection in 1936, Senator Bailey emerged as a critic of the New Deal and in particular of the WPA, which he blamed for weakening the work ethic, competing with business for labor, and building a liberal political organization. Instead of appropriating money for the agency, Bailey in 1937 demanded retrenchment, a balanced budget, and the resumption of relief by state and local governments. Bailey pointed out that the WPA favored urban areas in the north with higher industrial unemployment, and so the more agricultural southern states did not receive their fair share of funds. In their speeches, Bailey and Hopkins attacked each other, and once at Washington’s Mayflower hotel, they had an angry, public exchange. From late 1937 to early 1938, the nation experienced a recession and Congress responded in June 1938 with a large appropriation for the WPA. By October the state WPA peaked with 55,000 on the rolls. With the off-year election in 1938 the WPA proved popular once again among the state’s congressmen, but in the following year, the agency began its final decline. Hopkins earlier had left his post, and in 1939 Coan resigned as the state WPA director to return to private business. Governor Clyde Hoey refused to appoint him State Highway Commission chairman because of Coan’s association with Bailey and Doughton. Coan had served three and a half years, spent $60 million, and managed an average relief roll of forty thousand. While he mixed politics and relief, he kept the WPA free of scandal. His deputy, Charles C. McGinnis, succeeded him as the director. In 1939 Congress renamed the agency the Works Projects Administration. By 1940 Roosevelt focused increasingly on foreign affairs and defense spending and reduced the size of the WPA. With the demand generated by military buildup, the American economy improved and relief became less critical. By January 1940 the WPA in the state had employed 125,000 men and women over a four-and-a-half-year period and completed 3,984 projects. From 1935 to 1940 the WPA had touched the lives of virtually everyone in the state with the construction of schools, housing for teachers, armories, stadiums, swimming pools, gyms, community halls, hospitals, sewers, and privies. Its workers built miles of roads and bridges. Women found jobs in sewing rooms, school lunch programs, libraries, nursery schools, and literacy classes. The Federal Writers’ Project helped unemployed white-collar professionals. 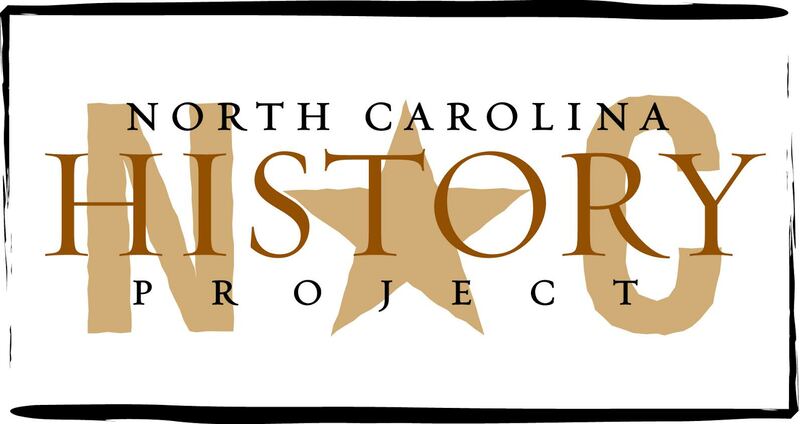 The Federal Theater Project and Federal Art and Music Projects helped thousands of North Carolinians. The National Youth Administration, created under the auspices of the WPA, aided needy young people. Although North Carolina ranked last in the country in per capita WPA spending, the agency had improved life during the Great Depression for many in the state. Douglas Carl Abrams, Conservative Constraints: North Carolina and the New Deal (Jackson, 1992) and Ronald E. Marcello, “North Carolina Works Progress Administration and the Politics of Relief” (Ph.D. dissertation, Duke University, 1968).